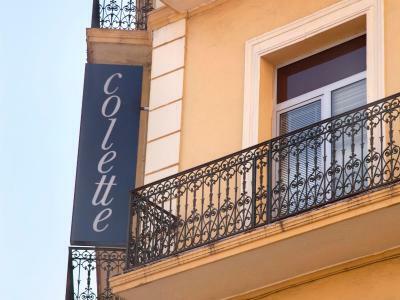 Lock in a great price for Hotel Colette – rated 8.3 by recent guests! Good location for going to the sailboat show. Good breakfast. We like that the room was very clean and the hotel location is great. Very easy to find and good for short stay in Cannes. Nice hotel right next to the Terminal and 5 blocks from the sea. Excellent AC that we used though traveled in march. Definitely not 4 stars but a solid 3. Great location. Friendly and helpful staff. Would stay again. 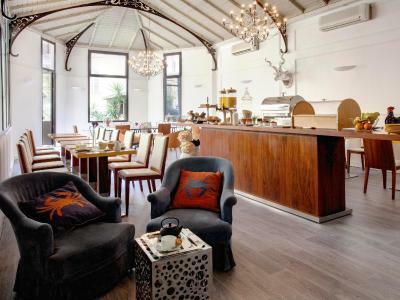 Very good breakfast, great location and very clean. The locations is good. Room was clean, and well cleaned everyday. Employees were nice. The location and the furniture in the room was good. Also the water in the shower had good pressure and was hot. 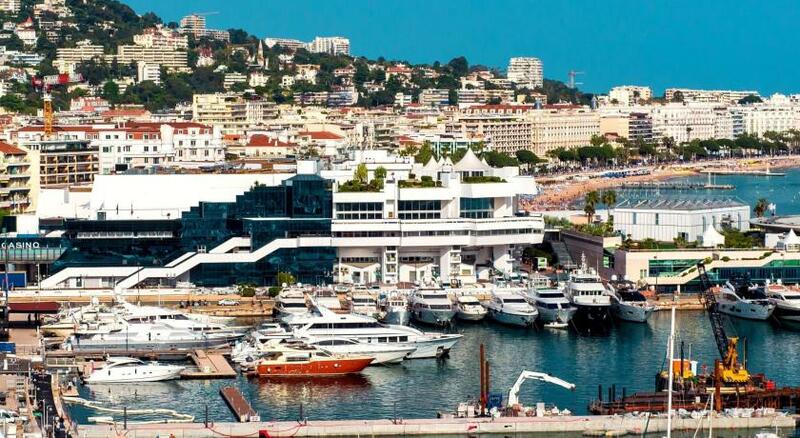 The Hôtel Colette is in the heart of Cannes’ shopping area, and a 5-minute walk from the famous La Croisette beach. It has air-conditioned guest rooms with satellite TV. Each soundproof guest room at the Hôtel Colette has contemporary design and includes high speed Wi-Fi access and a minibar. All rooms have a private bathroom with l'Occitane welcome products. Guests can choose between an American-style breakfast and a breakfast buffet every morning, served on the hotel’s terrace. The hotel includes a bar and there are also a number of restaurants and bars within walking distance. 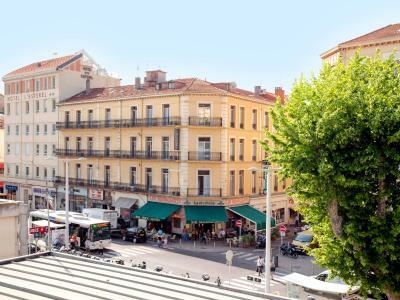 Hôtel Colette is a 5-minute walk from the Palais des Festivals et des Congrès where, Cannes Film Festival takes place each year. 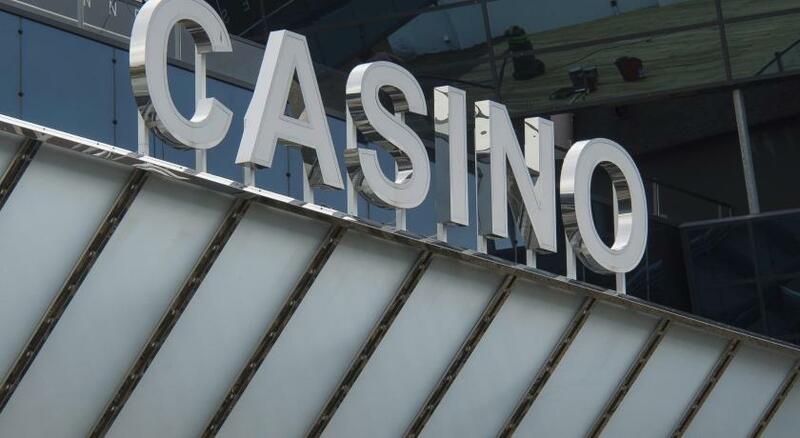 It is easily accessible from the A8 highway and Cannes Train Station is located across from the property. Guests receive special rates at a nearby parking lot. When would you like to stay at Hotel Colette? This room is decorated in white with accents of bright colors, contemporary furniture and Egyptian cotton. The private bathroom includes free toiletries from l’Occitane. This room is decorated in white with accents of bright colors and contemporary furniture. The private bathroom includes free toiletries from l’Occitane. 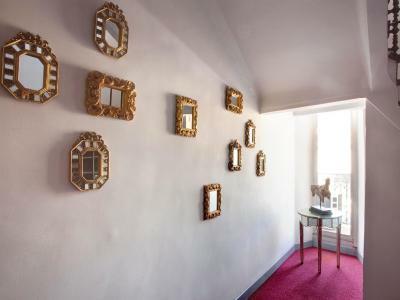 Fully renovated in 2011 to offer you comfort and service, this hotel embodies both history and poetry. History, because this hotel is the youngest of a Group of independent charming and luxurious ​boutique hotels. Poetry, because Colette refers to the famous author, who was known to stand apart because of her refined style and the topic she liked to deal with. Colette was particularly attached to Cannes city, and liked to say: “The world is new to me when I wake up every morning”. This quote perfectly conveys the atmosphere of our hotel. Hotel surroundings – This neighborhood is a great choice for travelers interested in shopping, luxury brand shopping and food – Check location Great location - show map Guests loved walking around the neighborhood! 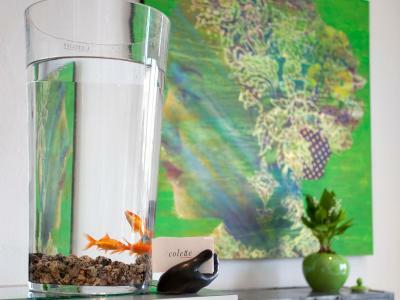 House Rules Hotel Colette takes special requests – add in the next step! Hotel Colette accepts these cards and reserves the right to temporarily hold an amount prior to arrival. Please note that pets weighing up to 5 kg can be accommodated at the property for an extra charge. The room that we booked doesn't look at all like in the pictures. It looks and feels more like a 2 star Hotel. They asked more money to book the room that was advertised in our offer. Some of the staff was very mean. The door from the entrance wouldn't close well and was no wardrobe and it's very noisy, also the tv and air conditioner did not work well. Almost no wifi signal in the room and wifi registration process is quite tricky. There was no wifi on the floor where I stayed. The AC is outdated. The hotel has no parking, it’s very difficult to park unless you pay an expensive parking. We were at the first floor, and there was a strong smell of humidity mixed up with mold and gone off food. The breakfast is less than average, in fact there is nothing much. The room might need more cleaning - it was quit dusty. The towels looked like thousands people had used them before. En suite, staff not all that helpful. Wifi was a little annoying as you had to sign in with every use. Room, bathroom and amenities were really good. Funny smell in all corridors. Walls thin. Bed 30cm from door so passage noise was very noticeable. No facilities like restaurant or bar, which one expects in a 4 star hotel. There is a feel of an old hotel in an old building. Some people like it, we didn't.